Positioning your material has never been easier! You´ve never cut, drilled or milled that easy! No matter which recurring process it is - with the EasyStop this process is perfectly automated. Start with automation and benefit from the comprehensive functionality of the automatic positioning system from the first minute - which offers you more than just driving to the next position. 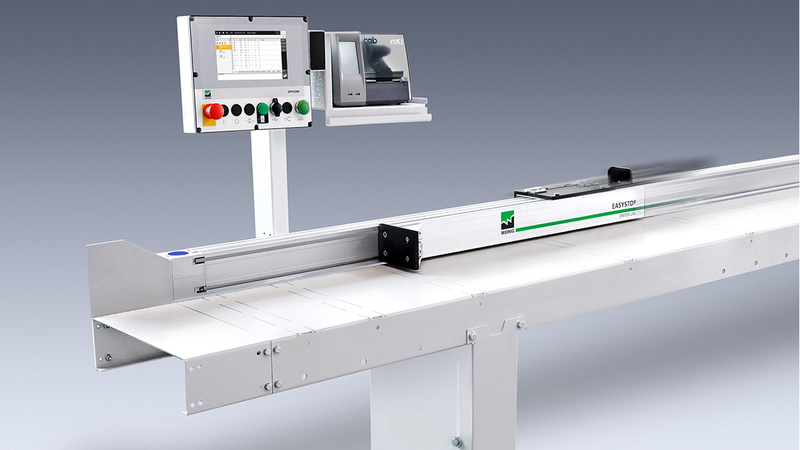 The automatic positioning system EasyStop handles the positioning of workpieces on almost every machine. The EasyStop helps you to perform the usual work faster, more comfortable and more precise. Your personal benefit? You can easily find this yourself. How many length stops do you have with your orders and how often do you have to fold them back and forth? Not once with the automatic positioning system EasyStop! Adjusting the stops to a new dimension, performing sample processing and controlling dimensional accuracy are things of the past. All that time will be available to you in the future for your main activities.